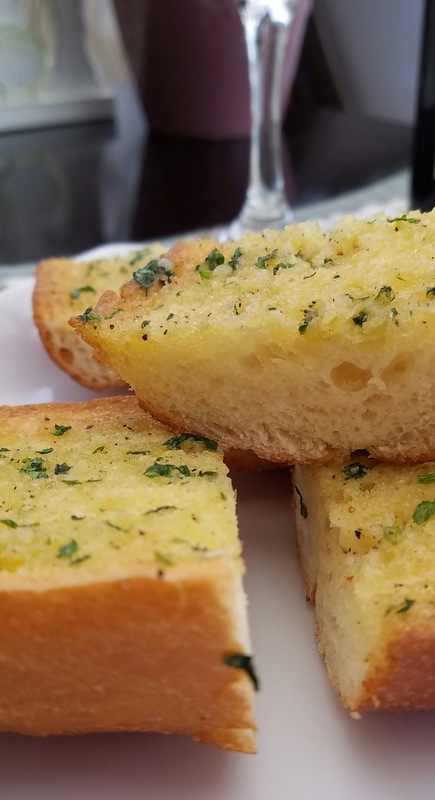 I used to buy frozen garlic bread whenever we have spaghetti at home until I discovered a homemade garlic bread recipe. 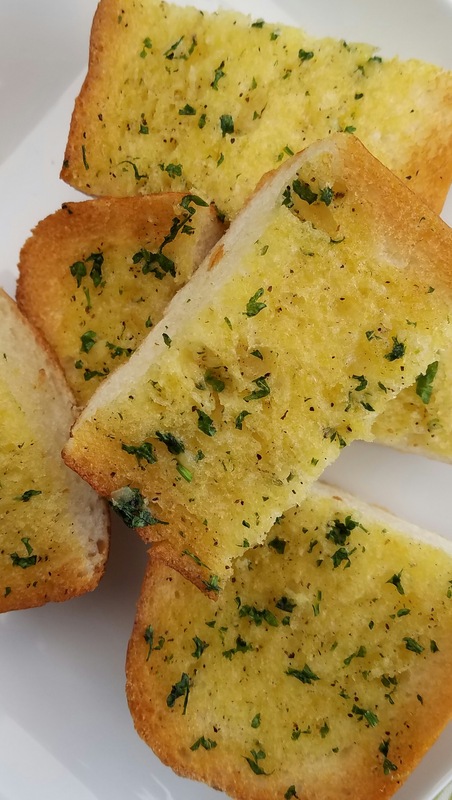 There is no going back to frozen garlic bread once I tried this recipe. It does take a little more work, but for the homemade taste, it is worth investing some effort. 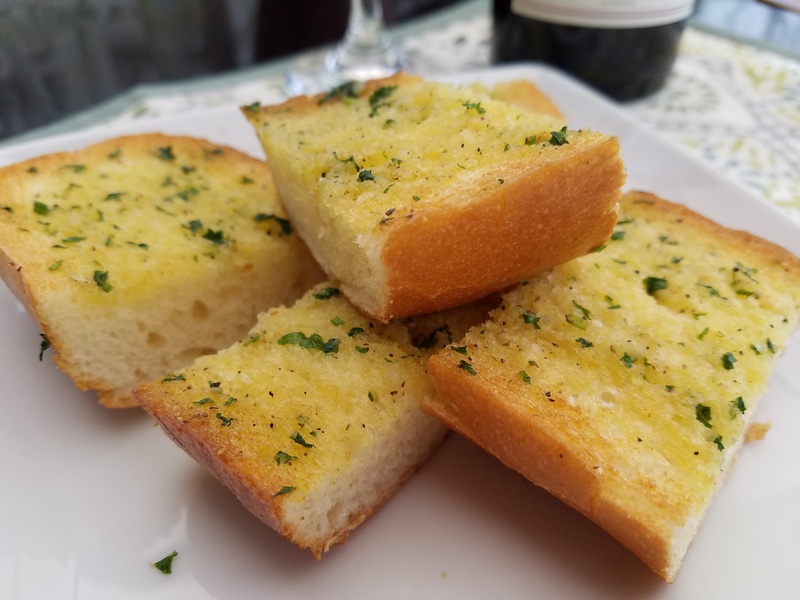 Hanna made this garlic bread to go with a spaghetti dinner I prepared last weekend. What is most precious is the qulity time we spent cooking together. And the bread tastes even more delicious! Cut top off garlic head. Place garlic on a piece of aluminum foil; drizzle with olive oil. Fold edges together to seal. Bake 30 minutes; cool. Squeeze cooked garlic into a medium mixing bowl. Add the butter, minced parsley, salt and pepper. Stir until well combined. Split the two french bread into halves horizontally. Place on a baking tray, split-side up. Broil under medium high heat in the oven until top is slightly brown. Watch the oven closely, we only want to toast the open faces of the french bread lightly. Spread the garlic butter evenly on the open faces. Put the two loaves back together again, with the buttered sides in the center. Wrap each loaf separately in aluminum foil and bake in 350 degrees F oven for 5 minutes. Unwrap the bread, place the split loaves buttered-side up back in the oven for another 5 minutes until the butter is fully melted and the top is toasted golden brown.